Every year, at around this time, I dive into my patterns stash to dig out my favourite festive projects! I always like to knit up something, whether new or familiar for the upcoming holiday season. 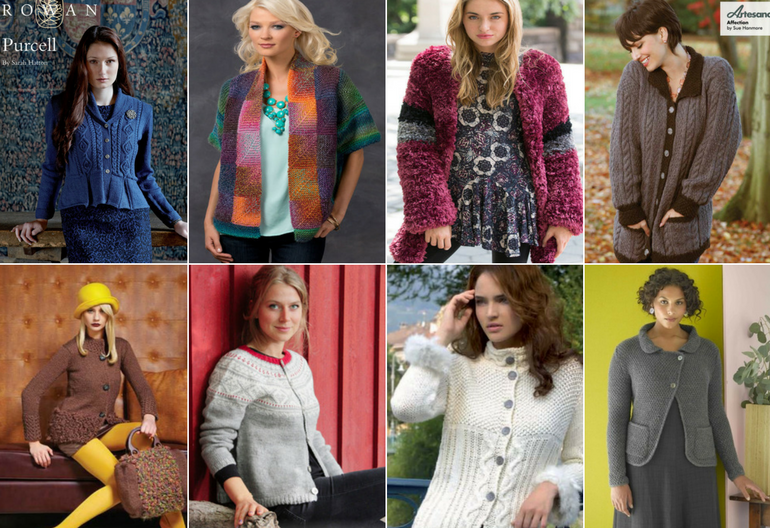 Besides looking into my patterns library, I also of course so some digging around the web to see whether I can discover some new free patterns to add to my collection of Christmas knitting patterns. This week I’ve found some really fun ones at Red Heart, which I want to share with you today. These make lovely projects you can create in the coming days and weeks leading up to the Holiday Season. Which one is your favourite from our selection below? These patterns are all available to download for free, and the links are included under each image. If you’re looking for other festive knitting patterns, check out our past posts, which include the following: Christmas Wreath and Snowman Knitting Patterns, 25 Knitting Patterns for Christmas Stockings, The Big List of Free Christmas Knitting Patterns (100+), How to Knit an Old Fashioned Christmas Stocking (Video Tutorial) and How to Knit a Tiny Christmas Tree Ornament (Video Instructions). 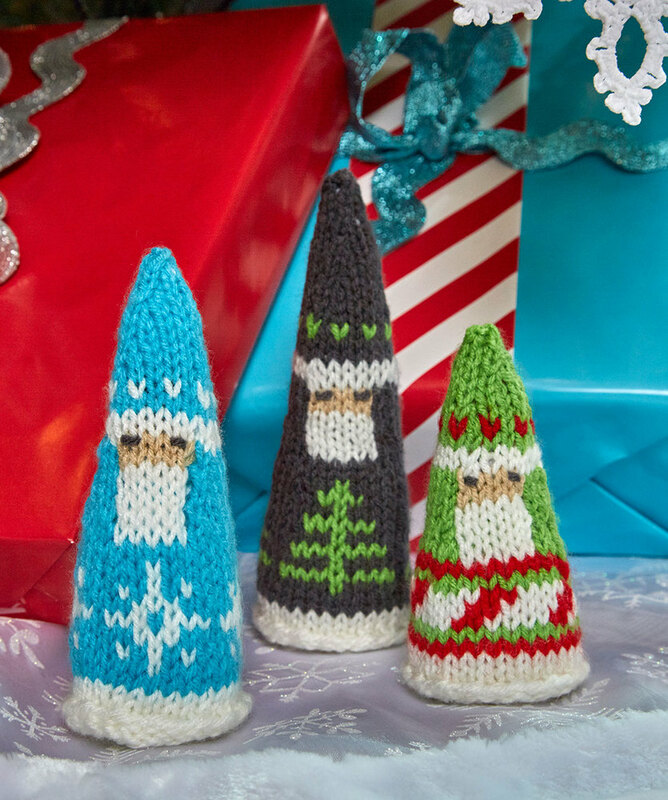 Knit in the round using no more than two colours at a time, this trio of Santas will add charm to your holiday décor. They are just the right size to add to your mantel or a shelf. Perfect for the holiday season or after, little girls will love the comfort of this knit-just-for-her jumper. Make it in red or her favourite shade of this wonderful, no-itch yarn. Add a joyful note to your décor with a knit banner! It’s perfect for setting the tone for happy holiday get-togethers. Since Super Saver is available in so many colours, choose the best colours to match your personal style. Santa’s clothing serves as a happy reminder of who will be sliding down the chimney Christmas Eve! Knit each piece including, overalls, hat, jacket, socks, mittens, boots and his roomy bag. Let us know which ones you have tried and how they have turned out! Remember to share photos of your completed knitting projects with us on our Facebook page.